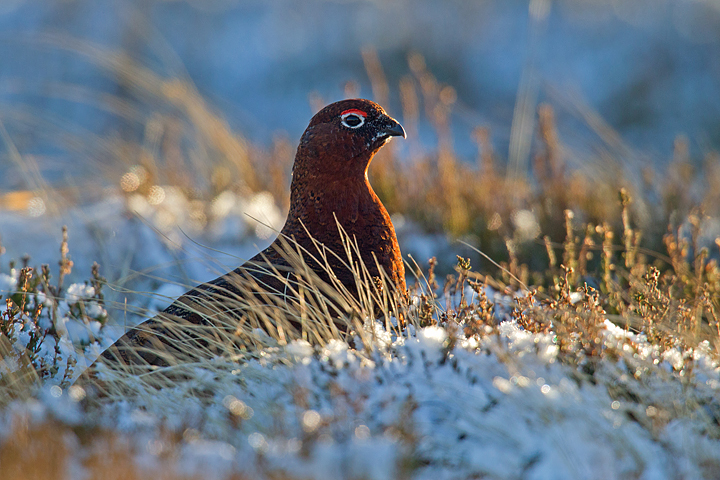 Driving through the Lammermuir Hills in december,Ollie in the back of the car,looking for wildlife to photograph.It’s -1C outside but feeling much colder with the wind chill.Inside the car it’s no warmer,as both front windows are open,a beanbag on both sides,and the cars’ heater has packed up.Even the camera packs up in the end as the battery gets too cold. Mind you,They do say,we are supposed to ‘suffer for our art’. 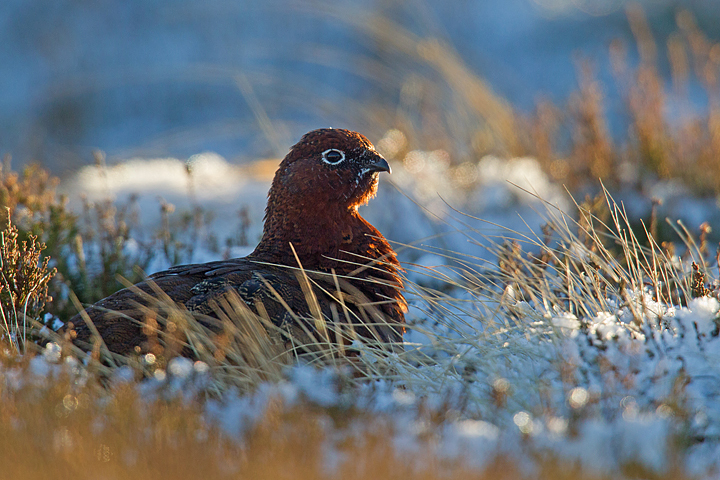 Red Grouse,m sat backlit,fluffed up and calling in the frosty snow.Lammermuir Hills,Scottish Borders. 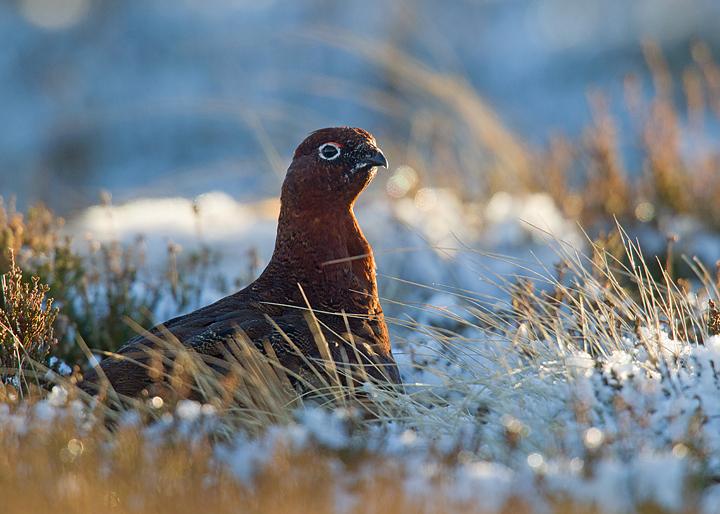 Backlit Red Grouse sat in the cold frosty snow. 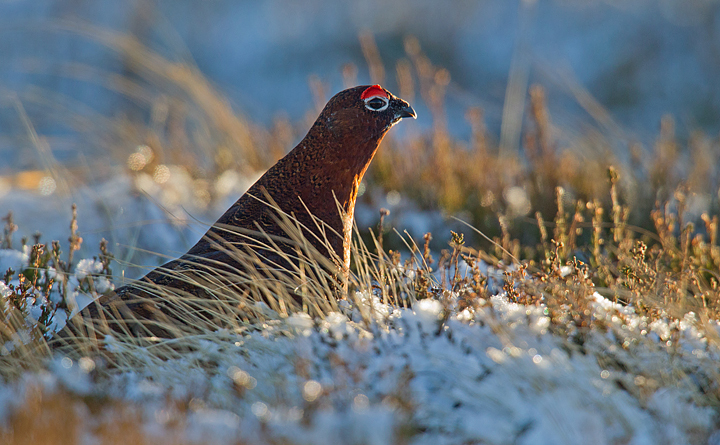 Fluffed up against the cold in the Lammermuirs. 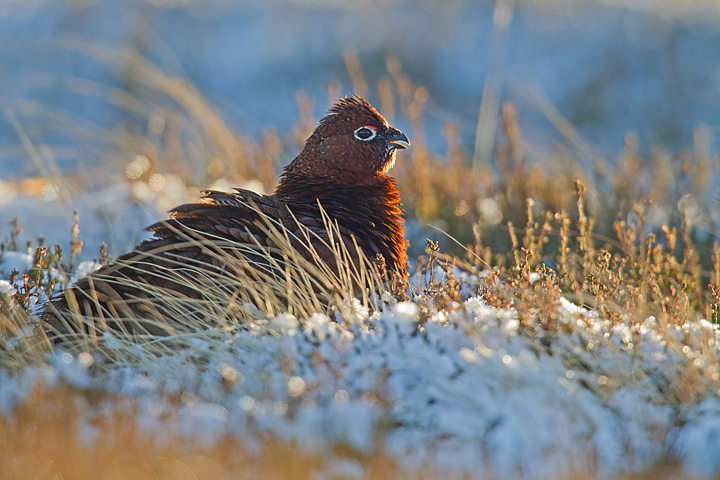 Backlit Red Grouse sitting in the cold. 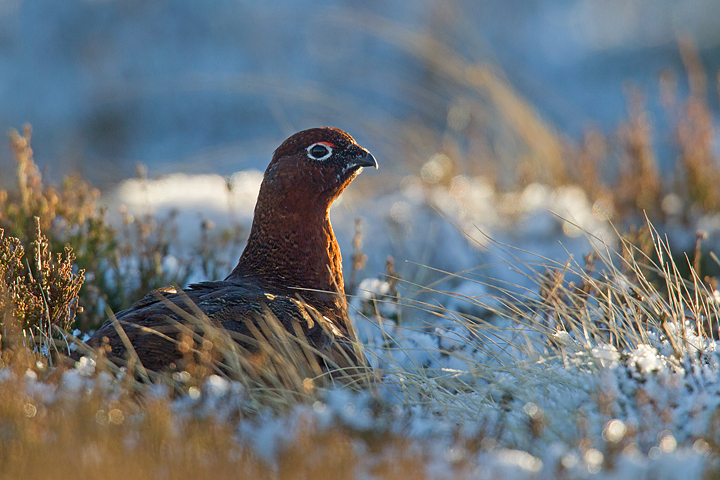 Backlit Red Grouse in frosty snow. 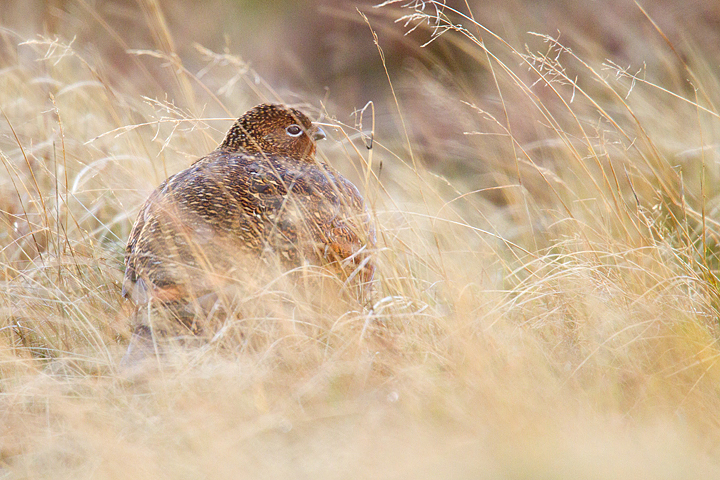 Red Grouse with raindrops,through grasses. 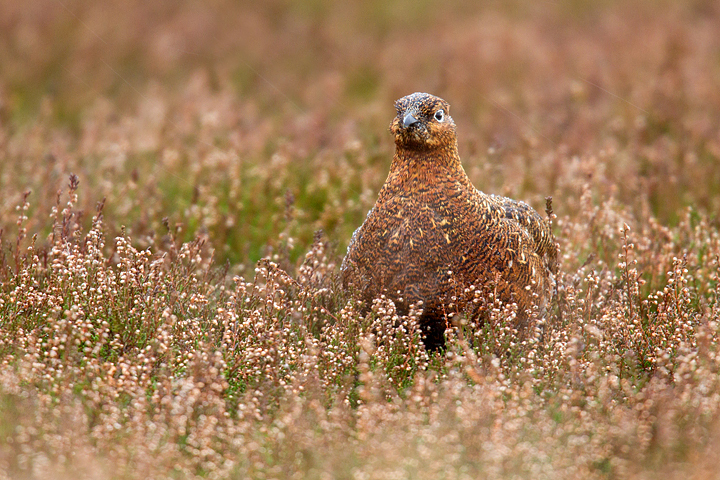 Red Grouse in the Lammermuirs heather. 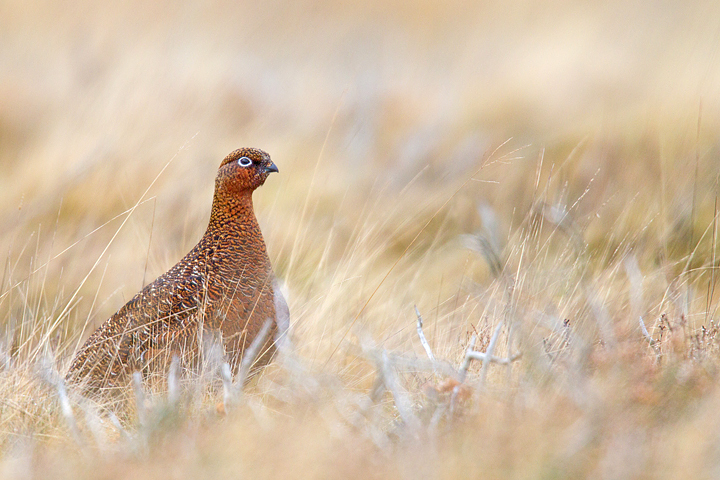 Red Grouse,f in the rain and windswept grasses. 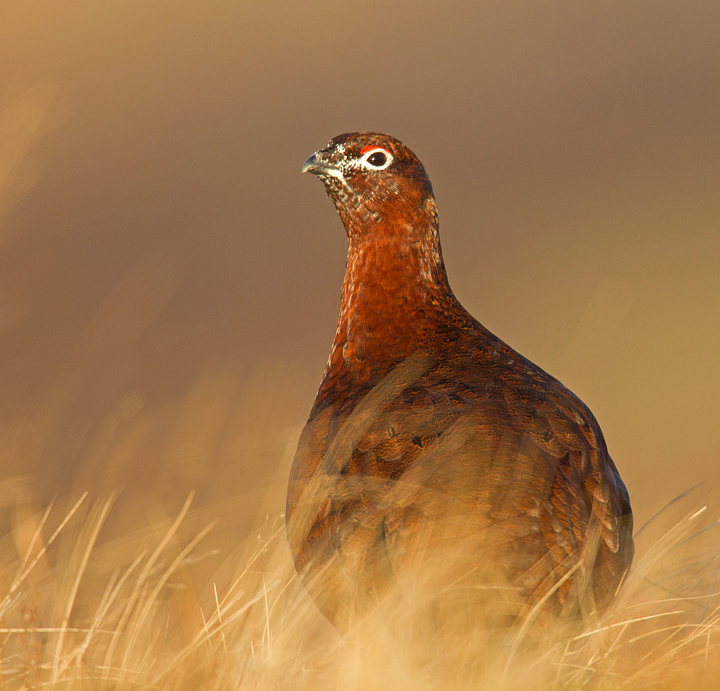 Red Grouse in the low winter sun. 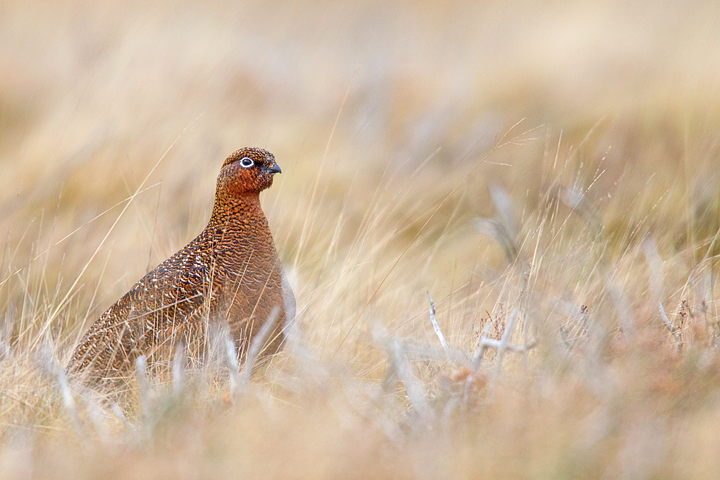 Red Grouse,f in grasses.Has a painterly feel. 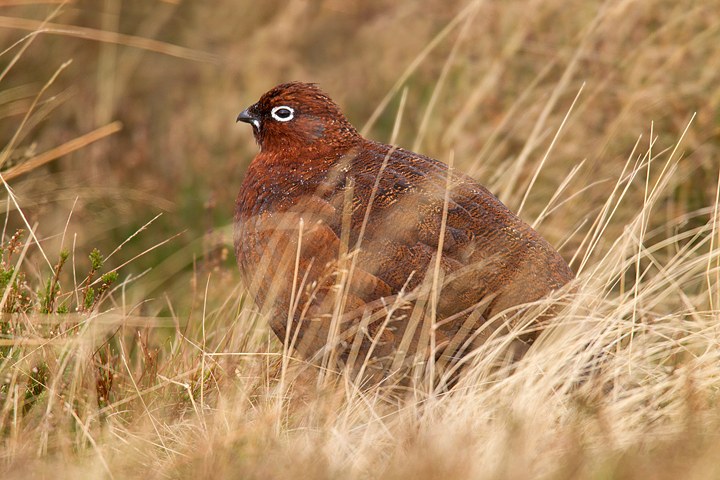 Red Grouse,f in grasses in the Lammermuir Hills.